We have months still to go until Christopher Nolan's "The Dark Knight Rises" bows in theaters, but there's now a full trailer to tide us over. It begins "in peace time," with an ominous rendition of the Star-Spangled Banner being performed at a football game. 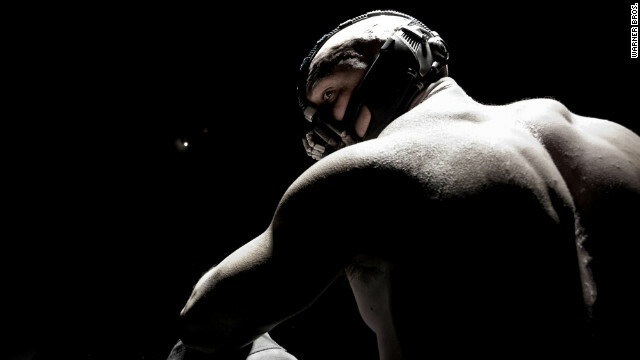 Tom Hardy's villainous masked Bane stalks menacingly as a football field full of players will soon meet their demise, and Anne Hathaway's Selina Kyle issues a dire warning to Christian Bale's Bruce Wayne/Batman. Filed under: Comic Longbox • Fandom • Squee!